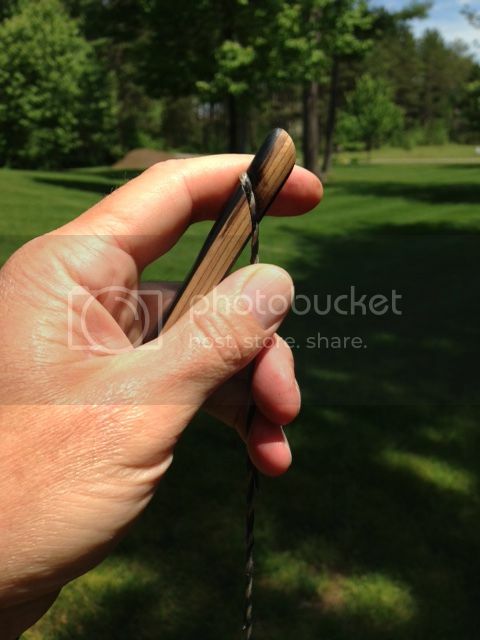 Thought you all may appreciate a closer look at Chris Hartwig's stringfollow model longbow as he doesn't advertise it on his website but it's certainly worth consideration for the ASL aficionado! 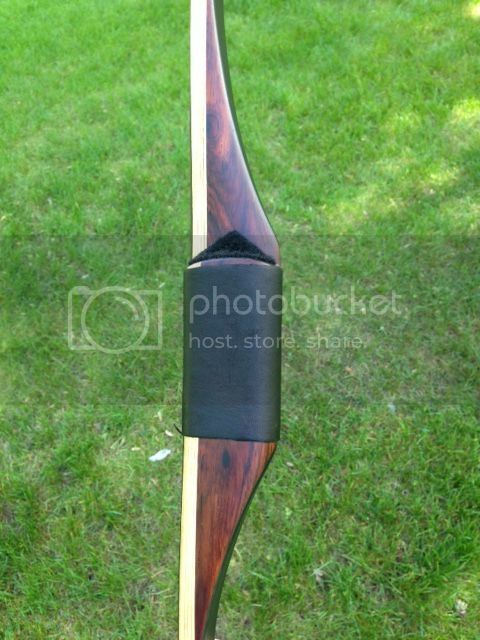 The selection of this bow was based upon a stock bow that he'd made. 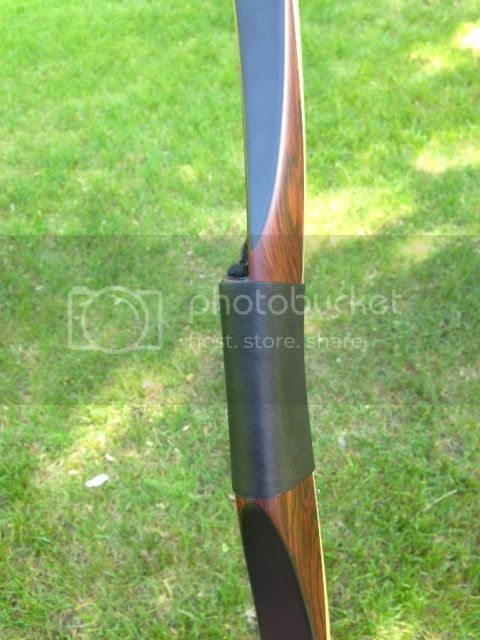 The dark cocobolo with black glass all in a satin finish just really looked classy to me. We went with an elm core, back and belly of black glass, and Chris pulled out a block of cocobolo that he was hanging onto for the riser. It's 66" long and 51@28". 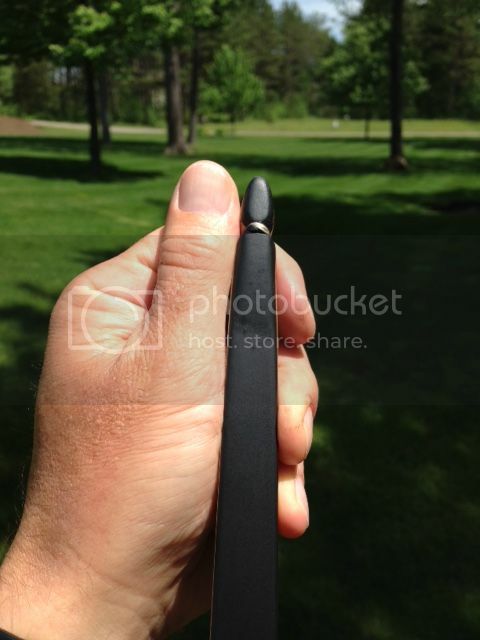 The grip is 2 1/8th" deep and about 1"wide. In the pics you'll notice that there's an ever so slight recess of the grip opposite the shelf. You don't visually notice it but it does seem to help with consistent hand placement compared to other straight grips I've tried. The back edge is rounded making it very comfortable for extended shooting. Overall I found myself gripping the bow slightly more to the side with a firmer hold than I'd previously shot with more heel and looser fingers. The tip overlays match the glass and blend so smoothly that from a few feet away you don't know if there's overlays or wedges. Strung profile shows 1/4" positive tiller. The couple of other ASL's I've had were about 1/8th but I'd read that some older Hill bows were 1/4"... I don't care as long as it shoots! Alright, now to the good stuff. The following is my brutally honest assessment of the shooting qualities. I've been primarily a mild r/d longbow shooter with mild locator grips. I've owned three other ASL's from well known bowyers but truthfully I've yet to really commit to them and their inherent shooting characteristics and this is the first stringfollow I've owned. Draw: A stringfollow is supposed to have light preload and yep, this one does. The weight picks up at the end of the draw (from the full draw pics and a 30" arrow I guess I'm draw around 27") and I feel the 51 lbs at anchor. Funny part is that after a few shots of getting used to it I think it may have helped my release some as I tend to overdraw past anchor, (gasp! I know that's terrible but this isn't the shooters form forum! ), as it feels more comfortable pulling a touch slower straight back to anchor. Release: First two shots I had reminded me to bend my bow arm a bit. Wouldn't call it straight up hand shock but with a slightly bent arm it became that mild push that I love about longbows; they're just letting you know you're shooting. They say stringfollows are more forgiving though most will say they can't really tell the difference. 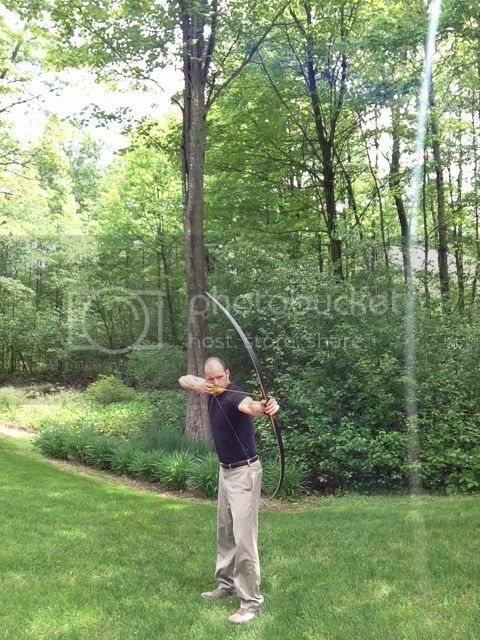 I'd say that with my suspect release I shot this bow more "consistently" than another ASL with backset. Perhaps its the stout limbs, the design or the draw cycle but even when I felt a pluck the arrow stayed within the kill zone. Sound: Quiet. 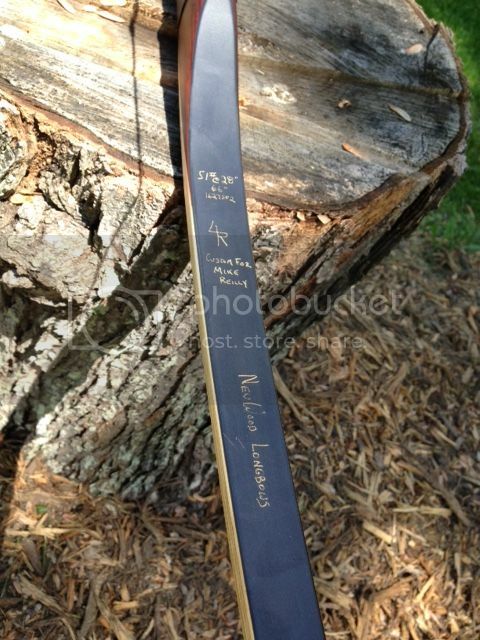 I fully expected this bow to be quiet as it's a stringfollow design built by a selfbow guru. I left it braced at 6 5/8ths and with the supplied cat whiskers it's as quiet as my quietest bow. The pitch is the dull thump as opposed to the higher ping you sometimes get with skinny strings and limbs. 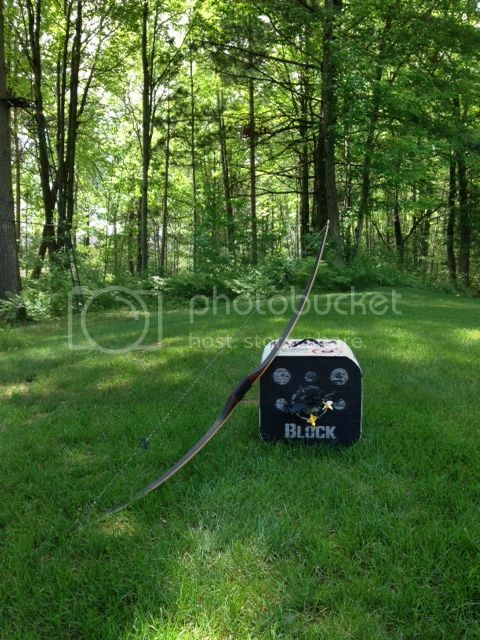 First shooting session using what arrows I had available ranging from 29" 45-50 and 30" 50-55 Surewoods from 15 yards. Overall I'm extremely happy with this bow. Of the three ASL's I've owned from well known bowyers I'd put Chris' stringfollow right up with them. I'm reminded that once that upper tier of bowmaking is reached, there really isn't all that much that separates one from another other than our own personal preferences. Looks great and the handle does look cozy. Thanks for the review. 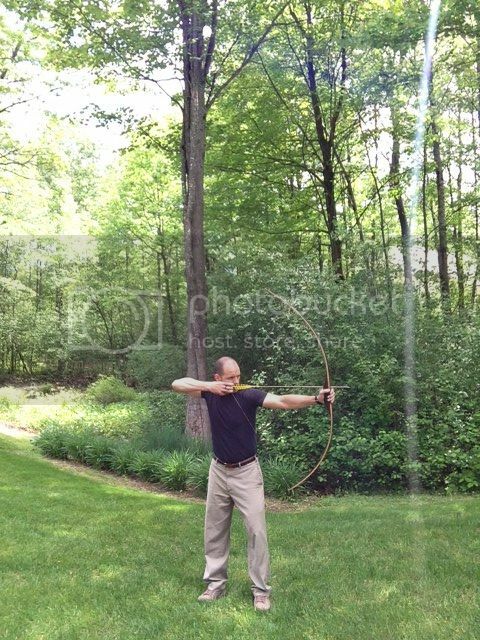 Chris has worked long and hard on this bow. I was lucky enough to have shot one of his prototypes a few years ago. Since then, it has gotten better ( was pretty good back then ). 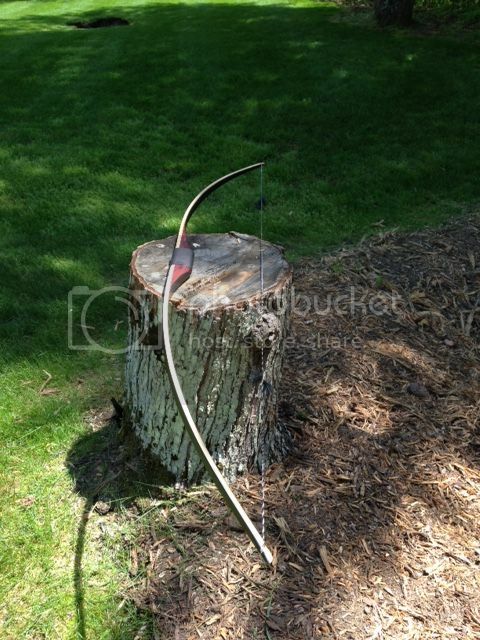 I am a hunter and what I like most is the bow is very intuitive, she sends arrows where you want, and it is QUIET! 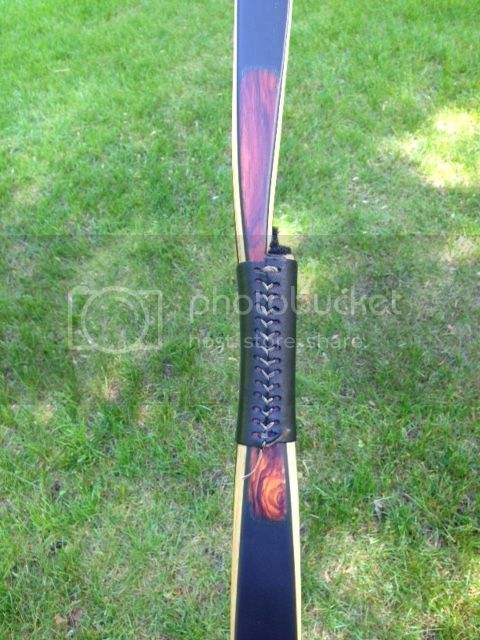 If you are in the market for an ASL, and want a classic deer slayer, this bow deserves a serious look.